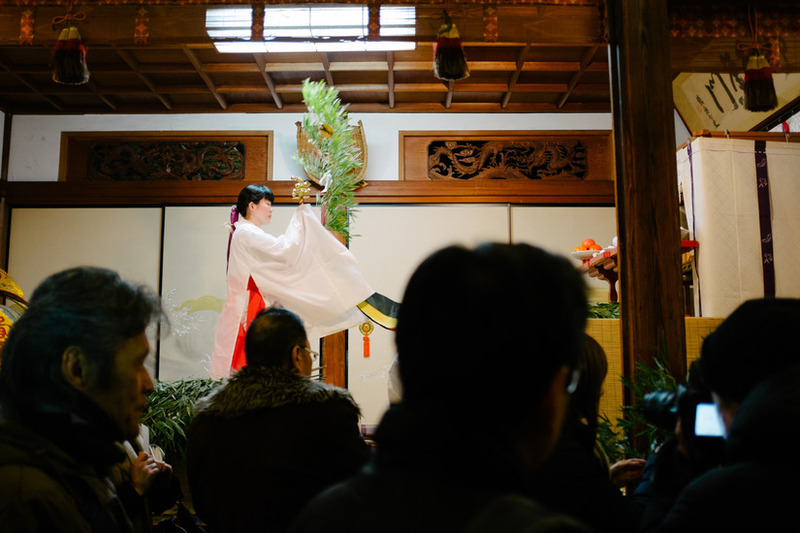 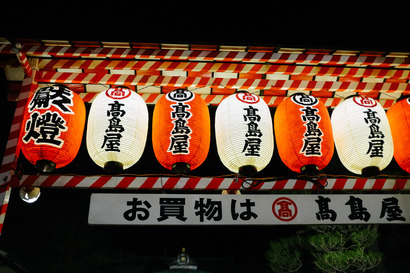 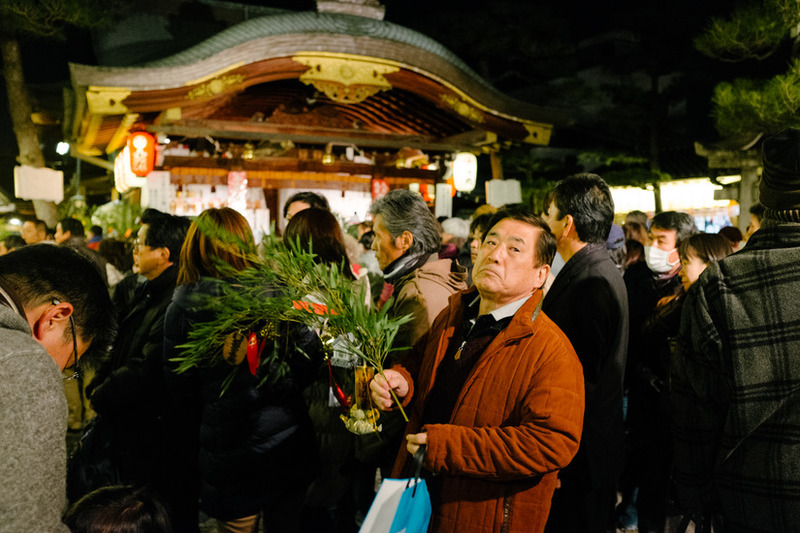 On the night of Friday, January 10, we shuffled in along with the rest of the crowd to visit Ebisu-jinja for the Ebisu Festival. 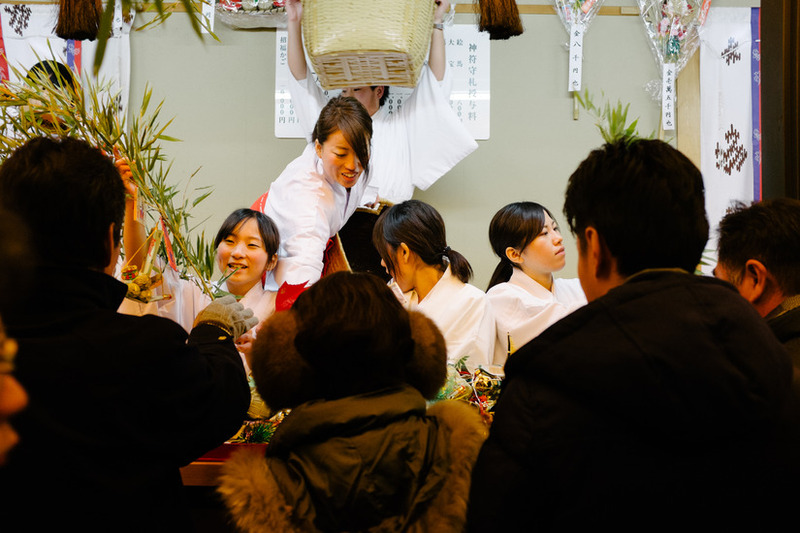 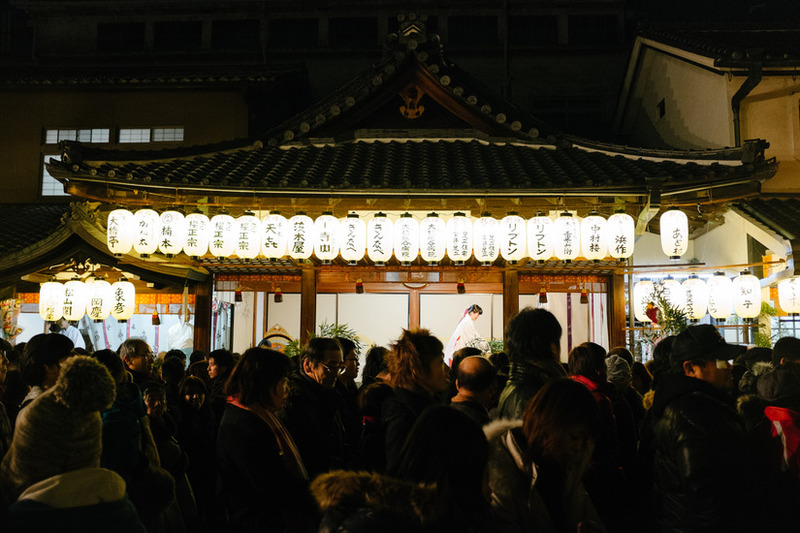 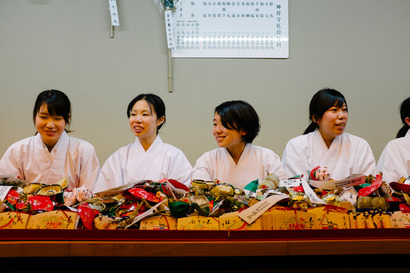 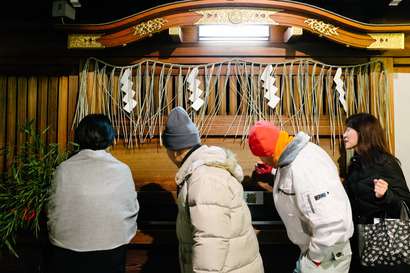 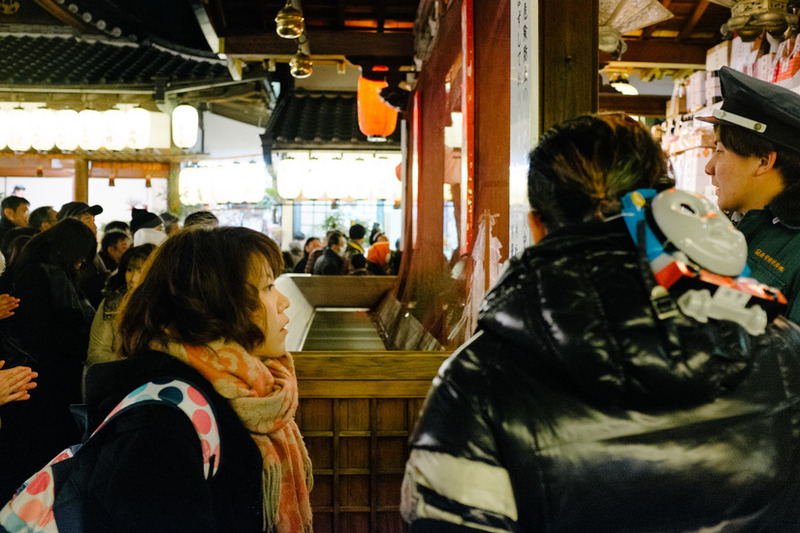 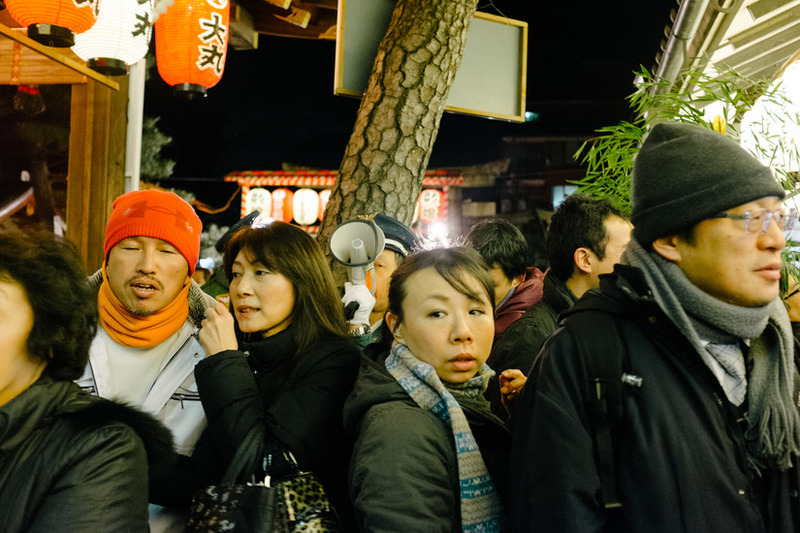 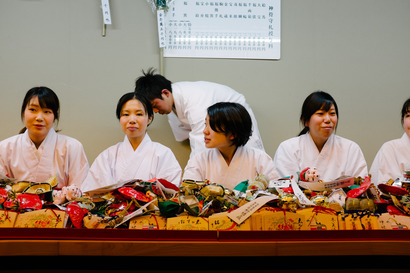 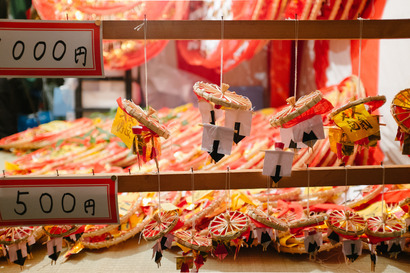 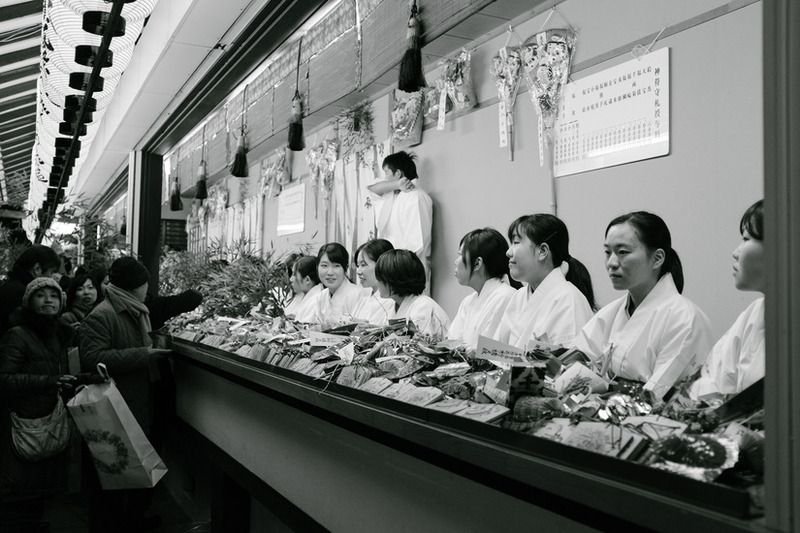 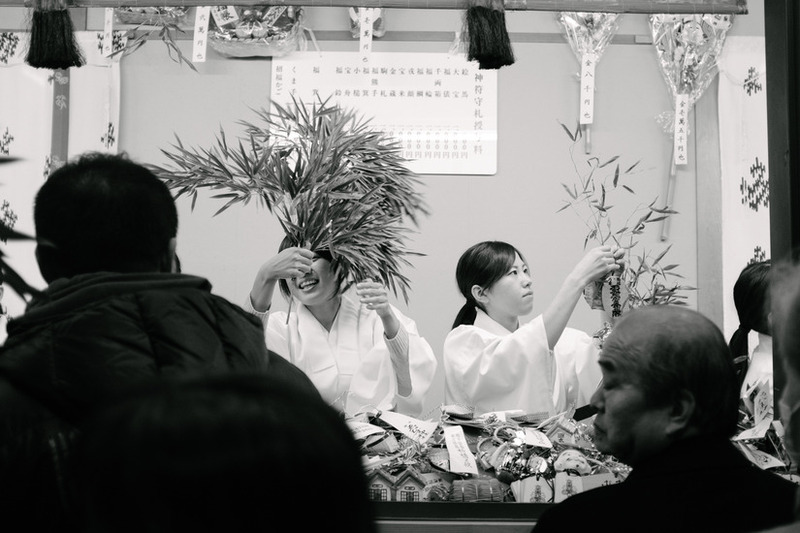 During Ebisu, people flock to the shrine to pray for success in business. 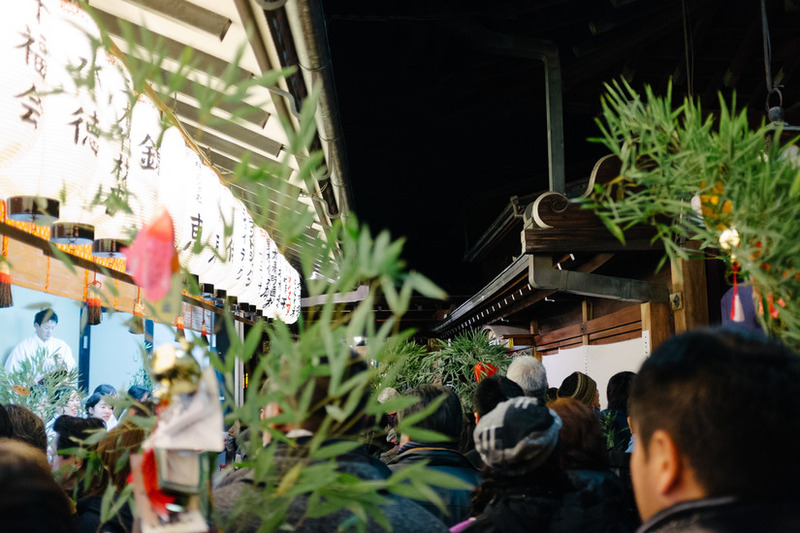 We slowly made our way around the small compound, watching locals toss money, pray, and buy lucky branches of bamboo which they then decorated with small charms to bring home. 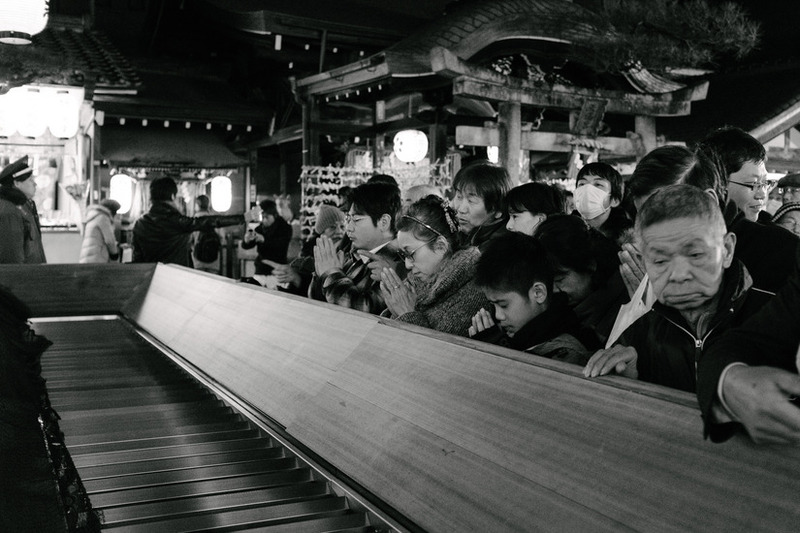 According to mythology, Ebisu is slightly crippled and hard of hearing. 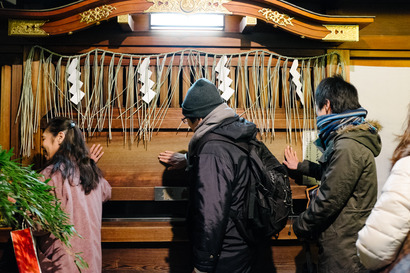 We noticed, on our way out of the shrine, each visitor knocking with their fists on the wooden walls, calling out to the god to hear their prayers.